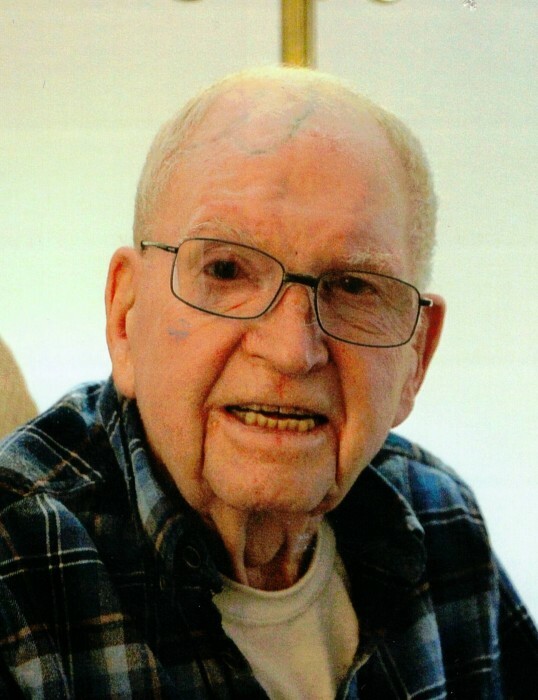 Obituary for Lawrence Sylvester Sullivan | Heubner Funeral Home Barry's Bay Ltd. Passed away peacefully with loving family at his side, in St. Francis Memorial Hospital, Barry’s Bay, on Wednesday, January 16,2019 at the age of 98 years. Lawrence was predeceased by his loving wife Lauretta Dubé of Sudbury, ON in 1990. He is survived by his daughter Pauline Smith, Sudbury, ON, grandson Danny Blais, Sudbury, ON and his brother Greg Sullivan (Teresa) Barry’s Bay, ON as well as many nieces and nephews. Preceded in death by his parents, James and Mary Sullivan (Dooner), brothers Everett (Mabel), Leonard “RED” (Agnes) and his sisters, Marcella (Ken) and Marie (Ernest). On his twenty second birthday, December 27, 1942, Lawrence was severely injured in the Almonte Train Wreck. Upon recovering from his injuries, he obtained a degree in Civil Engineering, which became his life-long career. After many years in Sudbury, ON, Lawrence returned to Barry’s Bay after the passing of his beloved wife Lauretta. He resided on Sprucedale Ave for many years with his sister Marie Burnett. “Sully” or “Vessie” as he was known to many had a great love of good conversation and enjoyed sharing many stories among those who knew him. He also had a life-long fondness of cars. Many will fondly remember the sight of him cruising through town in his prized 2009 Camaro at the age of 89! His years in Barry’s Bay were enriched by the friendship, affection and caring of Larry and Cathy Serran, Bruce and Karen Sullivan, Marilyn and Bill Mcmillan and the many caregivers of the Water Tower Lodge, and St. Francis Memorial Hospital.